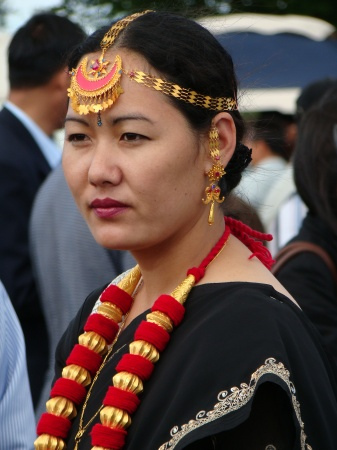 The Yakthung or Limbu tribes and clans belong to the Kirati nation or to the Kirat confederation. They are indigenous to the hill and mountainous regions of east Nepal between the Arun and Mechi rivers to as far as Southern Tibet, Bhutan and Sikkim. The name Limbu is an exonym of an uncertain origin. The word Limbu roughly translates as an archer or 'the bearer of bows and arrows'. They call themselves Yakthumba / Yakthung (in Limbu language). They are also known as Shong, Xong or Drenjongka དརེན་འཛང་ཀ་ (in Tibet) or Chong, Tsong འསང་ in (Sikkim). Their estimated population of 700,000 is centered in the districts of Sankhuwasabha, Tehrathum, Dhankuta, Taplejung, Morang, Sunsari, Jhapa, Panchthar and Ilam in Nepal. These districts are all within the Mechi and Kosi zones also known as Limbuwan. 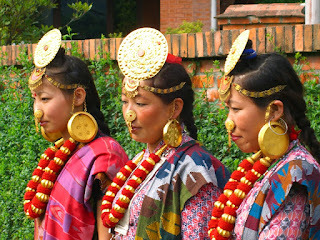 Portions of the Limbu population are also located in the East and West districts of Sikkim. A smaller number are scattered throughout the cities of Darjeeling and Kalimpong in West Bengal, India, and in North and South Sikkim and Bhutan. Limbu Clans and Tribes are divided into the Lhasa gotra (from Lhasa, Tibet) and Yunan gotra (from Yunan, China). The Limbu are known as Yakthung Thi-bon or Des Limbu (ten Limbu), from which thirteen Limbu sub-groups have emerged. According to legend, five of the groups came from Yunan, China and the other eight from Lhasa, Tibet. 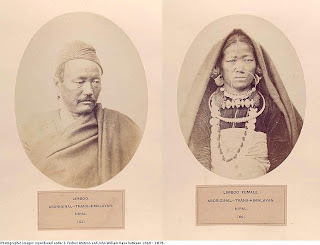 Unlike the caste system which was brought to the Nepal region after the Hindu invasion, a caste system is not practised among the Limbu people and Limbu sub-groups. However, there are numerous different clans and family-sects. The Chinese text called Po-ou-Yeo-Jing translated in 308 AD refers to the Yi-ti-Sai (barbarians bordering on the north), a name which is an exact equivalent of Kiratas. The word Yakthungba is most likely a combination of three Limbu syllables: Yak meaning the animal yak, thum meaning herder, and ba or pa which means inhabitant. Together these syllables may be translated as "hill people". They are also known as Yak Herders because some clans belonging to the Lhasa Gotra people have legends about their migration from south-east Tibet through the Olang Tshung Gola pass (above Taplejung District). 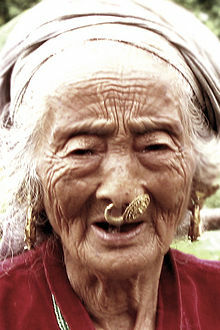 Limbu women are called "Yakthungma", in which Ba or Pa is replaced by the feminine Tibetan syllable Ma. Main article: U-Tsang Tsong people are divisional Limbu clans in Sikkim. They were originally native to the U-Tsang territory of Tibet. They migrated from Tibet, following their guru Matog Lama, and settled in Sikkim. Limbu (Limbu:Yakthungpan; "Language of the Yakthung") is a Sino-Tibetan/Tibeto-Burman language spoken in Nepal, Sikkim, Kashmir and parts of Northern India by the Limbu and Monpa community. Limbu language went through its own unique evolution from the Tibetan and Devanagiri writing systems. Far more Limbus are literate in Nepali than in Limbu, thus many Limbu publications are accompanied by Nepali translation. Limbu language is one of the major spoken and written languages of Nepal, Sikkim, and other parts of Northern India. Today, linguists have reached the conclusion that pronominalization is an indigenous development of the Tibeto-Burman language, and Limbu language bears a close resemblance with Khambu Sampang and other unique Tibetan dialects. Limbu language has four main dialects: Panchthare, Tamarkhole, Phedape and Chatthare. Before the introduction of Sirijonga script among Limbu Kiratas, Rong script was popular in East Nepal, especially in the early Maurong state. Sirijonga script nearly disappeared for 800 years, but it was brought back into practice by Te-Ongsi Sirijonga Thebe of Tellok Sinam. Limbu, Lepcha and Newari are the only Sino-Tibetan languages of the Central Himalayas to possess their own scripts. (Sprigg 1959: 590), (Sprigg 1959: 591-592 & MS: 1-4) The Kiranti or Limbu script was devised during the period of the Buddhist expansion in Sikkim during the early 18th century when Limbuwan still constituted part of Sikkimese territory. The Kiranti script was probably composed during the same time as the Lepcha script, which was created by the third King of Sikkim, Phyag-rdor rNam-rgyal between 1700 and 1717. The Kiranti script is ascribed to the Limbu hero, Te-Ongsi Sirijonga (translated: "Re-incarnated Sirijonga", refers to Sirijonga Haang). Stiller 141,153). Both Kiranti and Lepcha were ostensibly devised with the intent of furthering the spread of Buddhism. However, Sirijonga was a Limbu Buddhist who studied under Sikkimese high Lamas. Sirijanga was given the title 'the Dorje Lama of Yangrup'. The script's structure are a mixture of Tibetan and Devanagari. Unlike most other Brahmic scripts, it does not have separate independent vowel characters, instead using a vowel carrier letter with the appropriate dependent vowel attached. Limbus practice many of their own rituals. They believe that lineage is not transmitted patrilineally. Rather, a woman inherits her mother's goods, and when she marries and lives with her husband she brings with her the deities that will then be recognized as the household deities. Limbu bury their dead and observe for two to three days through practiced death rituals. The length of the mourning period varies depending on the gender of the deceased. Weddings, mourning, gift exchanges, and settlement of conflicts involve consumption of liquor, especially the Limbu traditional beer popularly known as Tongba. Dancing parties are arranged for visitors to the village. These affairs give the young Limbu girls and boys a chance to meet and enjoy dancing and drinking. The Limbu people have their own flag. The blue represents the bodies of water and the sky, the white represents air and peace, and the red represents the earth and pure blood of the Limbu people. The sun in the centre represents various Limbu spiritual practices and everyday living. The use and recognition of the flag ended in the 18th century during the Gorkha invasion. Recently, Limbuwan organisations have started to publish the flag in Limbuwan laaje areas. The Limbus traditionally practiced subsistence farming. Rice and maize comprised their principal crops. Although there is an abundance of arable land, productivity is greatly limited by insufficient technology. Excess crops are often traded for food that cannot be grown in the region. 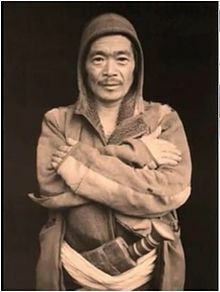 A sizable number of Limbu youths are enlisted in the British and Indian Gurkha regiments, providing their families with a steady stream of income. This income from military service helped to improve the Limbu community as a whole in terms of health and education. Limbus generally marry within their own community (Jones and Jones, 1976). Cross-cousin marriage is not allowed in Limbu culture. Marriage between a man and the widow of his elder brother can take place if they mutually agree. Marriage between a man and a woman outside the clan is also possible either by arrangement or by mutual consent of the man and woman in question. It is conventionally said that the customs and traditions of Limbus were established in the distant past by Sawa Yethang (council of eight kings). The marriages are mostly arranged by parents or they can also result when a man elopes with a woman. Asking for a woman's hand is an important ceremony. In that system, the woman can ask for anything, including an amount of gold, silver, etc. This confirms to the woman's family that the man is financially secure enough to keep their daughter happy. A few days after the wedding, the man's family members have to visit the woman's house with a piglet and some alcoholic and non-alcoholic beverages, depending upon the financial standard of his house. The most important ceremonies of a Limbu wedding take place in the groom's house rather than the bride's because the bride has to stay with her husband. There are two special dances in this ceremony, one is called "yalakma" or dhan nach in Nepali (rice harvest dance) and "Kelangma" or Chyabrung in Nepali. The Yalakma is characterized by men and women dancing in a slow circle, whereas the Kelangam consists of complex footwork synchronized with the beat of the drums. Anyone can join the dance, which can last for many hours. The Yalakma can also be a celebration of the harvest season or other social occasions. The Limbus follow the Kirant Mundhum oral 'scripture' similar to the Bön, shaman. However, their religion is also influenced by Tibetan Buddhism and Hinduism. They have their own distinct religion known as "Yuma Samyo" or "Yumaism". They also have many different classes of ritual specialists, of which "Phedangma", "Yema/Yeba", and "Shamba" are some. Their supreme deity is Tagera Ningwaphuma, but the deity Yuma (literally: "Grandmother" or "Mother Earth") is the most important and popular among the Limbus and is worshiped in all occasions. Yuma is the mother of all the Limbus, therefore one regards his or her mother as a goddess. Their religion is enshrined in the evergreen Cynodondactylon (Dubo) grass. Traditionally, the Limbu bury their dead, but due to the influence from their Hindu neighbours, cremation is becoming more popular. 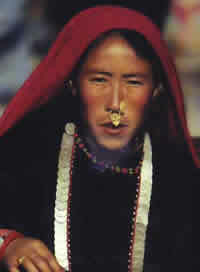 Limbu people also have their own clergy, such as Phedangma, Samba, Yeba (male) Yewa-Yema (female). According to the Nepal Census of 2001, out of 359,379 Limbu, 86.29% were identified as practising the traditional Kiranti religion, and 11.32% were identified as Hindu and other religions. Modern Limbus have also been influenced by Christianity, especially those living in parts of India. Khyali - a conversational song in which young girls and boys sing with poetic expressions and in a very sweet tone. Sakpa Palam Samlo - This song is sung during the Kusakpa Yeaalang dance in a fast beat. Kemba Palam Samlo - This song is sung during the Kemba Yeaalang dance in a slow beat. Domke Akma Palam Samlo - It is sung when doing the normal chores and also during the Domke Akma dance. Hakpare Samlo - this song is sung by middle-aged men and women who have interest in Mundhum and who are well known in it. One can find spiritual and worldly specialities in this song. Dance performed after origin of life: This type of dance is known as Ke Lang or Chyabrung Lang. The dance imitates the actions of animals, insects and any form of living beings. Yea Kakma- This dance is performed in the evening after the crops are reaped. Damke Akme- This dance is performed while sowing crops. War dance: This form of dance is known as 'Nahangma' and is performed during "Nahangma"- their religious function. In this dance, only adult males and "Shamani" priests can take part. During the dance, they carry a sword in their right hand and a shield in their left hand, or an arrow in their right hand and a bow in their left hand. Historical dance: In this dance form, the historical war of ten Limbus fought in Aambepojoma Kamketlungma is depicted. Mysterious and ancient dance performed by Shamani priests: this type of dance is known as Yagrangsing Lang, Phungsok Lang, Tongsing Lang. The dance is performed only by the Shamani priests. Limbu musical instruments include the Niyari Hongsing Ke, Chyabrung, Miklakom, Simikla, Chethya/Yethala, Ta, Tungeba, Ungdung, Yalambar Baja, Tetlafakwa, Mephrama, Negra, Yea Pongey, Puttungey, Phakwa, Phamuk, Phenjekom, and Megphama. For the Limbu people, Archery has always been considered as the main traditional sport. Archery often involves religious demonstrations and rituals. Historically, Limbu cavalry archers were the important when resisting invasions before the pre-Nepal era. The word Limbu itself came from the word Lim-pfungh which in translation means "Shooting-Arrows" or "Act of archery". There are legends about the beginning of the Limbuwan Gorkha war. In these legends, a Gorkha Military General met a Yakthung hunter in a forest. When the General asked the hunter about his presence and what he was doing, the Yakthung hunter replied "Lim-pfungh". The Gorkha army later experienced the fierceness from the Yakthung-Tribes' horseback archers for years during the Gorkha-Limbu war. 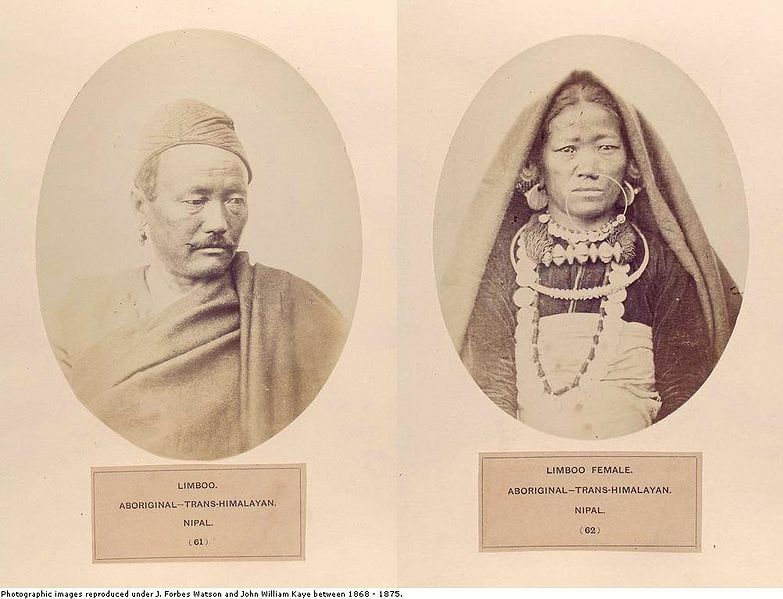 Thus, the name "Limbu" was recorded on the papers of the Gorkhas to describe the Yakthung people. However, after the success of Gorkha invasion, horse breeding and keeping declined swiftly in Limbu territories. Bare-hand Wrestling has also been practised among the Limbu men during festivals. This was also used to settle personal matters after a festive drinking in which the losing wrestler would have to pay the winner by buying him a drink or inviting him to his house for a drink of traditional tongba. Lakhpa is the term for wrestling in Yakthung-pan. Although Limbus aren't Hindu, they are recognized in Hindu Society. Nepal's pre-eminent sociologist, Professor Dor Bahadur Bista, asserted that of all the proverbial thirty-six caste and ethnic groups of Nepal, the Hindu caste system made the least impact on the Limbu. In part, this reflected not only their geographical distance from the seat of power in the capital city of Kathmandu but also their cultural independence. 1 comments for "The Complete History and Customs of Limbus"